Are your industrial floors hindering the productivity of your business? Have you evaluated them lately and seen all the cracks and imperfections on the slabs’ surfaces? Most of those problems are a result of poor quality materials used during construction or improper installations or inappropriate flooring systems applications. Epoxy flooring in Louisiana, for example, is one of our top recommended solutions for industrial flooring problems. It is for this reason that our company is known for using epoxy applications for industrial flooring in Louisiana. Whatever the reason for your floors’ imperfections, the consequences are a threat to business growth and productivity, and the roots of these problems must be taken care of before the problem worsens and you end up with damaged equipment and a hefty bill for floor replacement. Epoxy solutions are ideal for industrial floorings, especially in Louisiana. With the growth of technology, more and more strategies are being developed to solve industrial flooring problems. In line with this, the company has studied strategic trends and comprehensive techniques in industrial flooring solutions. Lean manufacturing is considered to be one of the most efficient strategies for streamlining business operations of oil and gas plants in particular for maximum productivity at minimum cost while actually increasing quality. This strategy employs waste elimination practices with leading-edge tools and systems to have companies reduce unnecessary costs and eliminate barriers in production. Our flooring applications therefore share these aims and embody solutions that reflect these qualities. On top of that, we promote the use of durable installations such as epoxy flooring in Louisiana. Epoxy floorings are commonly preferred by the areas we service in Louisiana. The problem-solving systems of industrial plants are subject to the provisions of the Environmental Protection Agency (EPA), the standards of which are applied in expansion projects for safety purposes. EPA regulations and lean manufacturing principles are important considerations for us when planning and implementing industrial flooring projects. The same is true with how our company integrates USDA approval into flooring projects for environmental safety and protection. Prepco Flooring, LLC guarantees compliance with all these regulations in every epoxy flooring project. Industrial environments have special flooring needs due to the nature of the business. Their flooring systems require durability and strong resistance to destructive elements and heavy traffic. Our company differs from others in the industry by virtue of the ideal floor coatings and resurfacing services that we offer as well as the competitive rates we maintain for the quality services we provide. 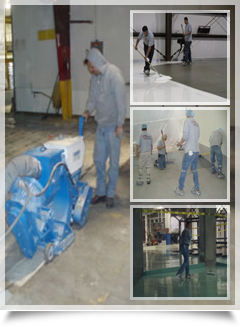 We understand that epoxy is the most ideal application for industrial floors in Louisiana. Epoxy is very durable and is ideal for industrial floorings in Louisiana. 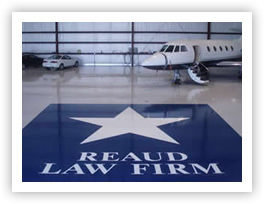 Although we are based in Houston, Texas, our services are not confined to this area. We provide flooring services throughout the south eastern states and some locations further out. We also specialize in servicing epoxy industrial flooring systems in Louisiana. Our epoxy solutions are unparalleled in Louisiana and surrounding areas. With the company’s long- experience in the trade, our services have developed beyond the standard, and we aim to keep providing complete customer satisfaction as we continually improve our flooring services for commercial establishments in Louisiana. With over two decades of professional experience in the trade, Prepco Flooring LLC is now one of the nation’s finest companies providing superior services for all flooring needs. We guarantee results that exceed expectations. Call us today for your Lean Manufacturing Flooring Solutions!